The floor is one of the most important things we consider when looking for a comfortable place to call home. To enjoy the maximum warmth and comfort of a home a clean floor is very crucial. This is where the Bissell PowerFresh Steam Mop comes in. 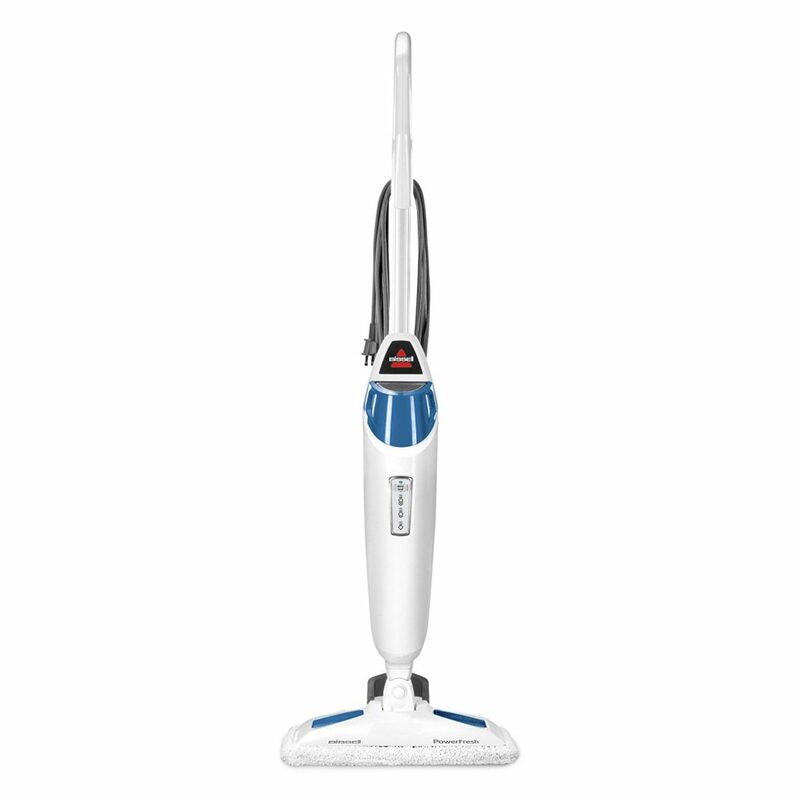 It has a built-in scrubber; this makes it work 2× faster than other steam mops. Comes with a smart digital steam control, making it possible for you to customize the steam to high, medium or low levels according to your floor needs. It also kills bacteria. The high, medium and low steam levels allow you to regulate the mop according to the state of your floor. Sticky floors need high steam levels which also kill 99% bacteria, and low steam cleans dusty surfaces. The water tank can be separated; this makes it very easy to clean hidden corners. The mop will also be lighter, and hence mobility is easier. When filling the water, you are advised to use distilled water without any chemicals. It has an inbuilt easy scrubber. This makes it easy to clean grout, tough floor messes, sticky floors, and dry spots. It functions properly in private homes, on an office floor and other busier floors due to the added features that make it operable in difficult situations. It is very easy to use. It comes with a manual, but you’ll hardly need it; the mop is easy to assemble, and instructions are clear. It can clean carpets, tiles, wooden floors and other different types of floors efficiently. This sets it apart from the other mops, many of which are limited to soft floor surfaces. It is durable with a two-year warranty card. This mop stays for long without any functional damages if operated correctly. It is versatile with a cleaning ability for all floor types and three different steam levels. Chemical free. No chemicals are allowed to be used by the machine. It has a steamer which allows for all types of dirt to be removed. Easy to move because the tank can be detached. Comes with a spare kit with extras. It can be shipped to different countries immediately after placing an order. High-quality material for the mop. The microfiber pads are washable. The scrubber at times gets too hot. The water tank is big and can be problematic to detach for a small-bodied user. The Bissell Powerfresh Steam Mop can be accurately described as a superior steam mop usable on all types of floors from soft to rough floors. With all the added features, this mop is easily one of the most advanced and sought after steam mops in 2019. If you are looking for perfection on your floors, good fragrance and ease of operation then look no further. The Bissell PowerFresh Steam Mop doesn’t disappoint.